You can choose whichever mode you like on the Toshiba L3400U, even for gaming. 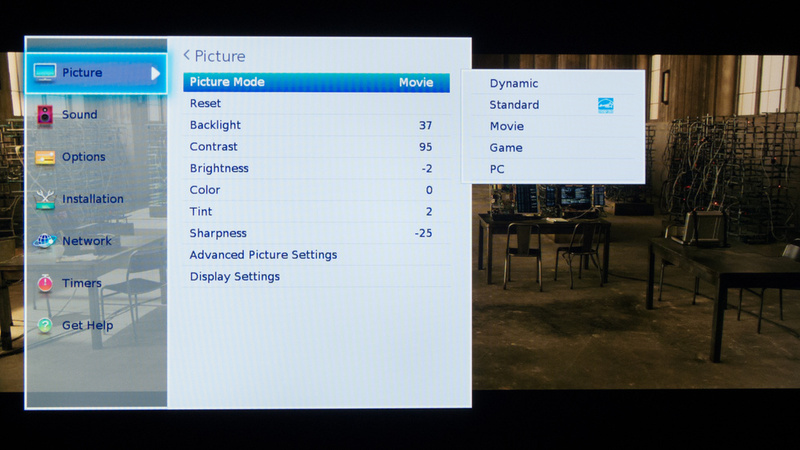 They all have very low input lag, and the same settings can be enabled. As usual, in the advanced settings, we turn everything off. 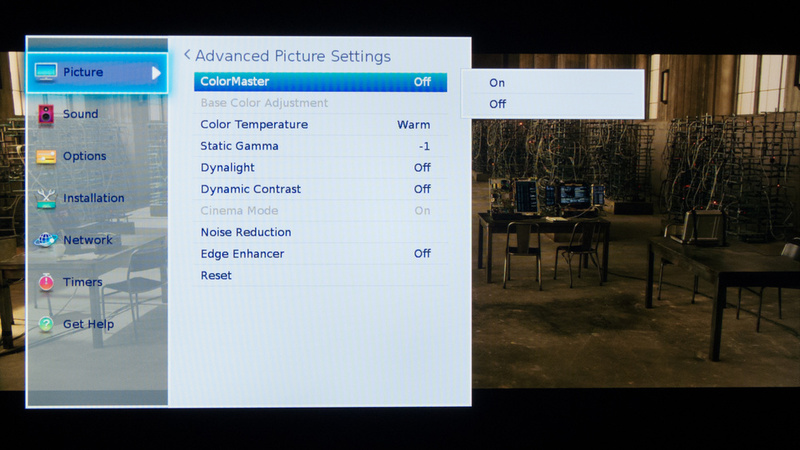 If you watch SD content, though, you might want to leave a few options turned on, like noise reduction. 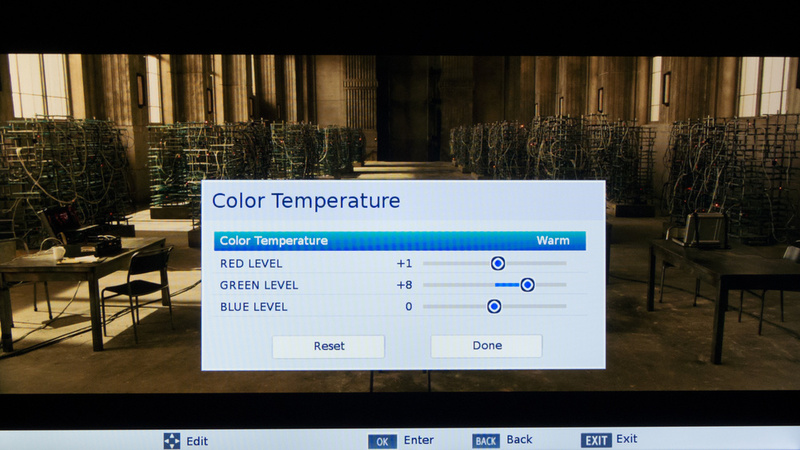 The color temperature closest to 6500K was Warm, but it was missing a little bit of green by default.